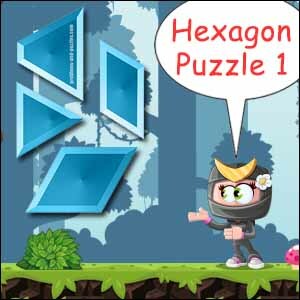 Shape Puzzle Printable – Hexagon Puzzle 1 – This is a free printable 2d shape puzzle where students manipulate the pieces to form a hexagon. Hexagon 1 – Manipulate these pieces to form a Hexagon. 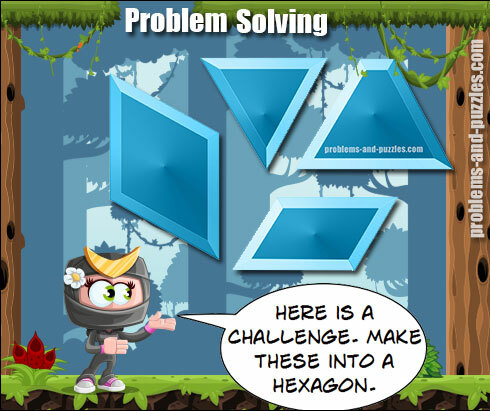 This shape puzzle is designed to improve student problem-solving skills. In it they are required to move the pieces around (constantly manipulate them) to form a larger shape. 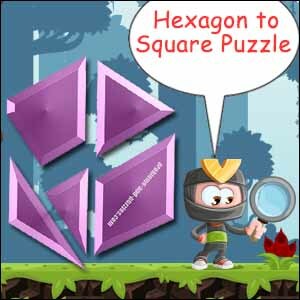 In the case of this puzzle the students need to manipulate the smaller pieces and place them so as to form a hexagon. As an ‘Early finisher’ activity. I started using puzzles like these in my classrooms many more years ago than I care to remember. I experimented with many different ways to introduce and use. Eventually, I came up with what I believe to be my most effective method. Feel free to give it a go and see if it works for you and your students. Introduce the puzzle on a Monday with about 15 or 20 minutes of a Math session to go. 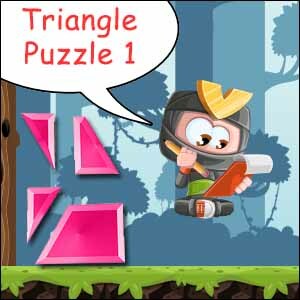 Explain the goal of the puzzle i.e. to move the smaller shapes to create a larger one. Begin cutting a puzzle out for yourself at the front of the room and use a rather loud self-talk. ‘Notice how I am cutting really close to the edge of the shape and I am taking my time to do it carefully. I found in the past when people rush these step they wreck the puzzle pieces and it makes it almost impossible to solve the puzzle. Students cut out the puzzle at the same time. Discuss possible problem-solving strategies that might be useful while cutting out the puzzle e.g. constant manipulation of the pieces, guess and check, looking for patterns etc feel free to add your own banter and anecdotes. Very Important – Have students initial each of their puzzle pieces on the white side. Once the pieces are all cut out the students can begin trying to solve their puzzle. When packing up, students place their puzzle pieces into an unsealed envelope with their name on the front for storage. Write the name of any student absent on the puzzle handout and put it somewhere safe to give to them on their return. Students photograph their solution for a portfolio. Students initial each puzzle piece as they cut it out. Store the puzzles in an unsealed envelope with the student’s name on the front. Students keep the envelope in their desk or storage tray for easy access. Press ‘Place Order’ and then scroll down to ‘Order Details’ and click on your resource there. It will open ready to save, print, cut out and use.